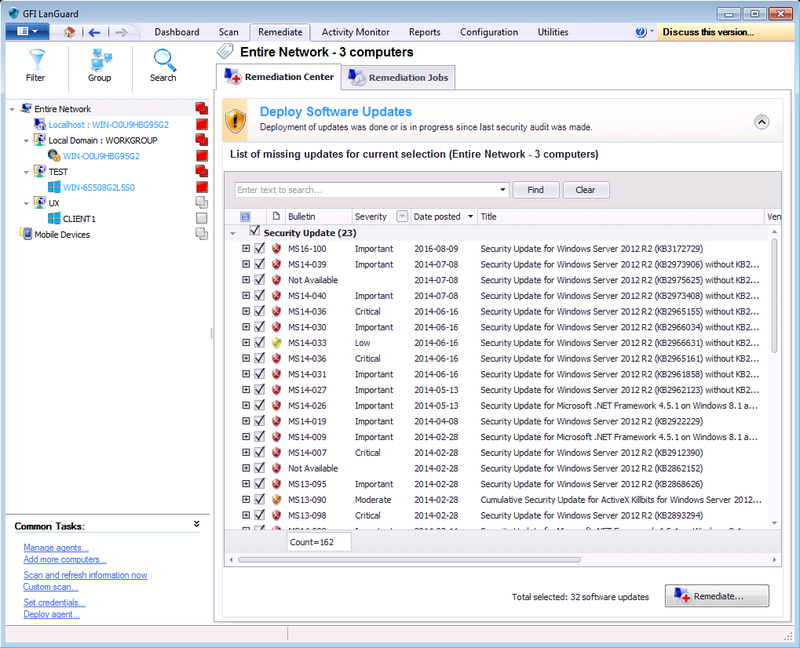 Patch management for Microsoft®, Mac OS X® and Linux®, operating systems and applications. 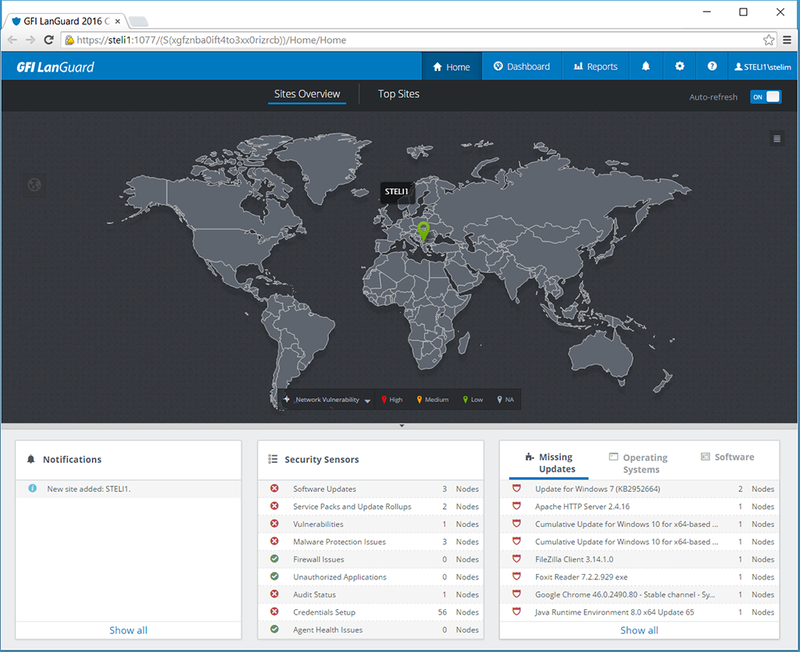 Patch management for web browsers and other applications. 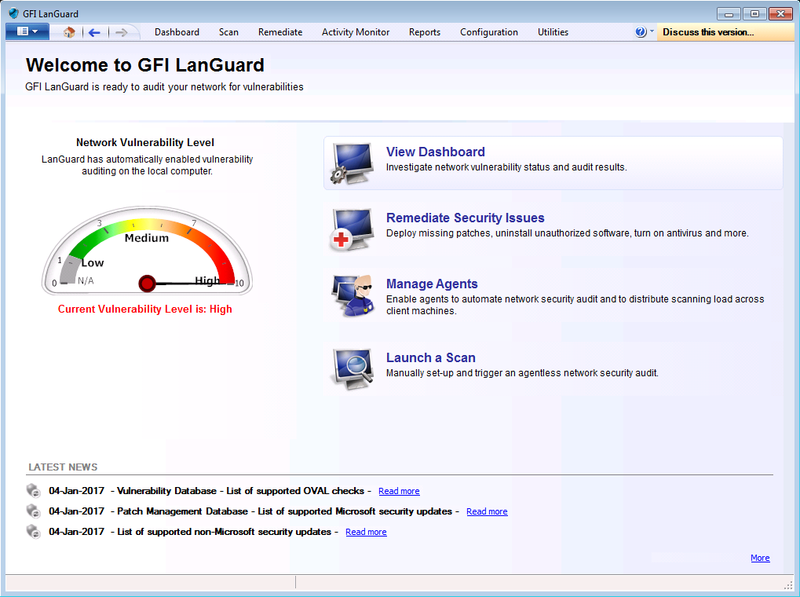 GFI LanGuard’s network security scanner detects over 60,000 vulnerabilities before they are exploited by hackers. 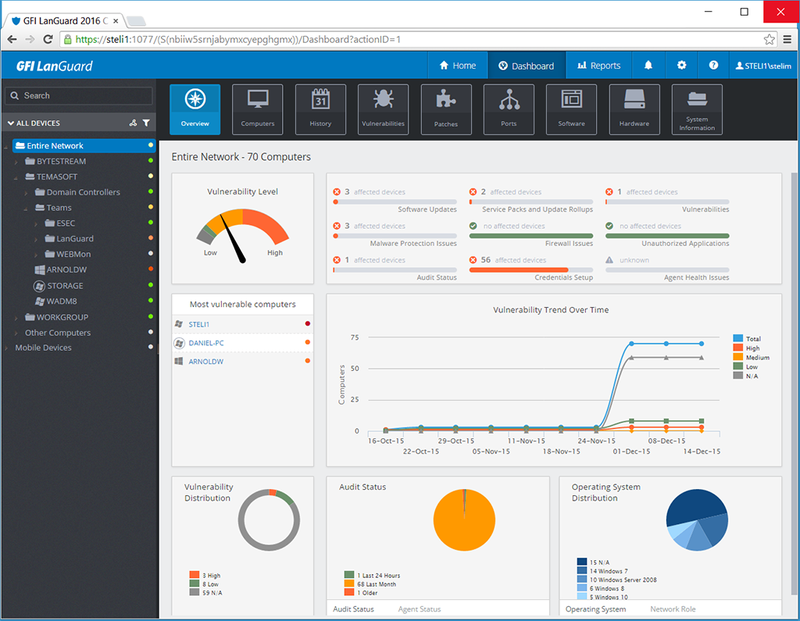 Web based reporting for ease of use, centralized reporting and scalability. 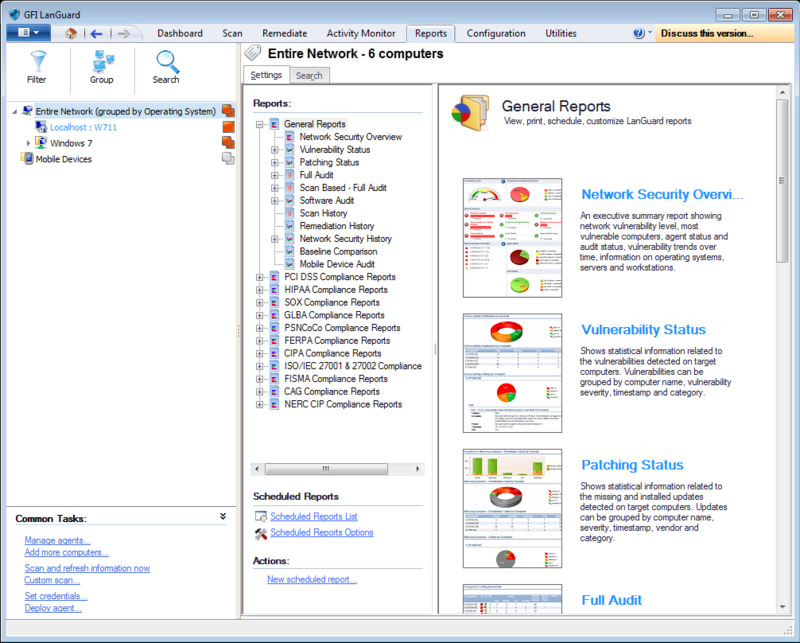 Features an extensive, industrial strength vulnerabilities database. 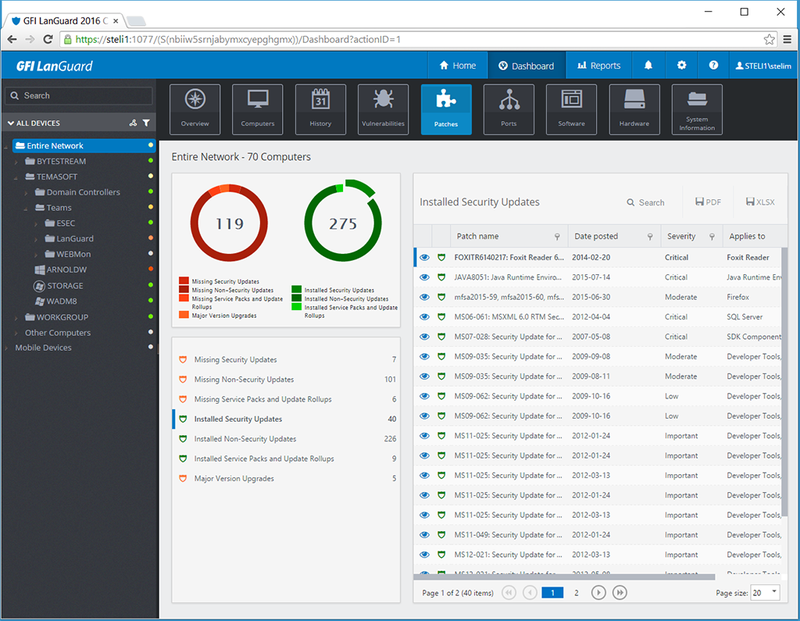 Helps ensure third-party security applications offer optimum protection. 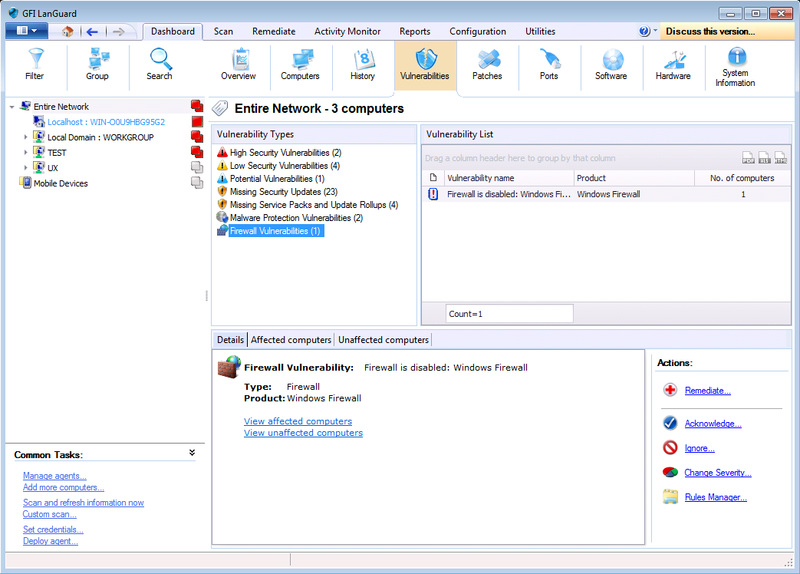 Vulnerability assessment for a wide range of networked devices such as switches, routers, access points and and printers. GFI LanGuard can be configured to run in agent-less or agent-based mode. If you would like a one on one session with our engineer, who will discuss your needs and demonstrate GFI LanGuard via remote session, please select this option. If you'd like to have a chat with us about GFI LanGuard, please select this option. If you'd prefer to email or phone us, our details are also here.